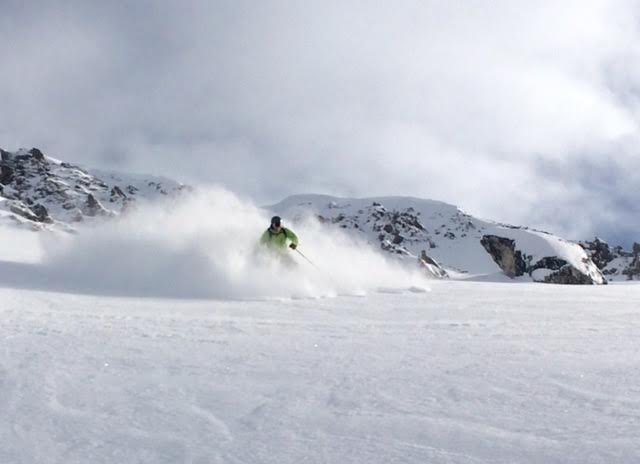 British Columbia's Purcell Mountains are home to legendary "premium Purcell powder." These photos were taken last week in the Purcells by a reputable source who reported 110cm (3.6 feet of snow at 2,200 meters (7,217 feet). Boulder Hut is nestled at tree line (2,000m, 6,500’), and we ski from 1,500-2,800 meters (5,000-9,200 feet). No matter what the conditions are at your local ski hill, fear not, you'll find quality skiing in our 15,000-acre Purcell range ski tenure. We don't have a web cam. We have a sky cam!